In Louisiana, a failure to pay your property taxes can result in your property being subject to a tax sale. This can cause a tremendous headache. Though the Louisiana Constitution and Revised Statutes provide that the government’s right to proceed to a tax sale expires three years after the last day of the year in which the taxes were due, one New Orleans property owner was sent a tax bill including unpaid taxes which seemingly should have been expired. In 2006, Kathleen Bilbe purchased a piece of real estate located at 1722 Lark Street in New Orleans. The property was subject to ad velorem taxes. Ms. Bilbe failed to pay her property taxes in 2007, which accumulated interest, penalties, and costs. The New Orleans Department of Finance sent Ms. Bilbe a tax bill for 2007 reflecting the real estate taxes she owed for 2010, neighborhood fees for 2010, and the unpaid taxes from 2007. Ms. Bilbe made a partial payment towards the unpaid 2007 taxes in February 2010 but the entire balance of the 2010 bill remained. The Department of Finance sent a notice to Ms. Bilbe that her property could be subject to a tax sale due to her unpaid taxes in July of 2011. That same month she paid the entire balance and her property was spared from the tax sale. Though the Louisiana Revised Statutes allow an opportunity to dispute the amount assessed by the tax collector, Ms. Bilbe did not indicate that she was making the payment in protest. La. R.S. 47:2314. On 28 July 2012, Ms. Bilbe filed a lawsuit against the Director of Finance for the City of New Orleans, Norman Foster, alleging violations of her civil rights. In January 2013, Ms. Bilbe attempted to amend her petition to request a trial by jury. The Trial Court denied Ms. Bilbe’s request. Both the Court of Appeal and Louisiana Supreme Court upheld the Trial Court’s decision. In March 2014, Ms. Bilbe attempted another amendment. This time, she wanted to add particular sections of the Constitution which were violated, to name Mr. Foster in his official capacity, and to clarify the damages she sought in her original petition. Again, the Trial Court denied her request. After conducting discovery, both parties filed motions for summary judgment. The Trial Court granted Ms. Foster’s motion and denied Ms. Bilbe’s motion. Ms. Bilbe then requested a new trial, which was again denied. Ms. Bilbe appealed the Trial Court’s rulings. She argued that the Trial Court erred in denying her second motion to amend, in granting Mr. Foster’s motion for summary judgment and denying her motion for summary judgment, and in denying her motion for a new trial. First, the Court dealt with Ms. Bible’s motion to amend her petition. In Louisiana, the petition is the initial pleading which initiates a civil lawsuit for damages. Certain information must be stated in the petition such as the names and domiciles of all the parties and a short, clear and concise statement of the cause of action and material facts. La. C.C.P. art 891. Under Louisiana’s Code of Civil Procedure, a plaintiff can amend his or her petition without the court’s permission any time before he or she is served with the answer. La. C.C.P. art. 1151. After the plaintiff is served with the defendant’s answer, the plaintiff can only amend the petition with the court’s permission or written consent of the other party. The trial court has fairly wide discretion to grant or deny amendments, and the court of appeal will not overturn that decision absent an abuse of discretion. The Court of Appeal found that the Trial Court committed no abuse of discretion when it denied Ms. Bible’s second motion to amend her petition. Ms. Bible argued that the Trial Court erroneously denied her second motion to amend because it was filed timely (only 18 months after the original petition) and that it did not change the nature of the case, but simply clarified her cause of action. Without much analysis, the Court of Appeal deferred to the Trial Court’s reasoning. Next, the Court of Appeal considered the parties’ opposing motions for summary judgment. In his motion, Mr. Foster argued that Ms. Bible could not meet her burden of proof at trial because no facts or evidence in the record contradicted that he satisfied due process requirements and lawfully fulfilled his duties as tax collector. Ms. Bible’s motion argued that Mr. Foster under the federal Civil Rights Act because he arbitrarily and capriciously abused the tax sale process after the tax privilege expired by including untimely taxes from 2007 in the July 2011 notice. See 42 U.S.C. § 1983. When a party puts forward a motion for summary judgment it asserts that based on the initial discovery, the opposing party has no case – that there are no genuine issues of material fact for the court to adjudicate – and that it (the moving party), is entitled to judgment as a matter of law. La. C.C.P. 966. The moving party has the burden of proof here in establishing a prima facie showing that the motion should be granted. Should the moving party succeed, it’s then up to the non-moving party to put forward evidence demonstrating that genuine issues of material fact do exist and that the motion should not be granted. The Court of Appeal found that Ms. Bilbe failed to meet her burden of proof in establishing genuine issues of material fact. The Court of Appeal noted that while the 2011 Notice included unpaid 2007 taxes (violating the three-year collection period under La. R.S. 47:2131), it also included unpaid 2010 taxes and was thus eligible for the 2011 tax sale. The Court of Appeal pointed out that had Ms. Bilbe timely paid her 2010 taxes, the property would not have been subject to a tax sale based on her unpaid 2007 taxes. The obligation on her unpaid 2007 taxes would have extinguished because the three-year period under La. R.S. 47:2131 expired. Mr. Foster’s duty as Director of the Department of Finance required him to notify property owners of their tax obligations and of potential tax sales and the record showed he did just exactly that. Accordingly, the Court of Appeal dismissed Ms. Bilble’s grounds of appeal based on the opposing motions for summary judgment. Finally, the Court of Appeal considered whether a new trial was warranted. In Louisiana, a new trial is mandatory if the judgment is clearly contrary to the law and evidence. Here, Ms. Bilbe argued that the Trial Court’s judgment was clearly contrary to the law and evidence, but put forward no evidence to support her arguments. The Court of Appeal found that her arguments consisted primarily of “self-serving allegations” and failed to show the existence of genuine issues of material fact that justified granting a new trial. Accordingly, the Court of Appeal dismissed Ms. Bilbe’s appeal and affirmed the Trial Court’s judgment. Tax disputes with the government often cause a great deal of anxiety and at the very least, a major headache. When it comes to your tax disputes, hire a good lawyer. 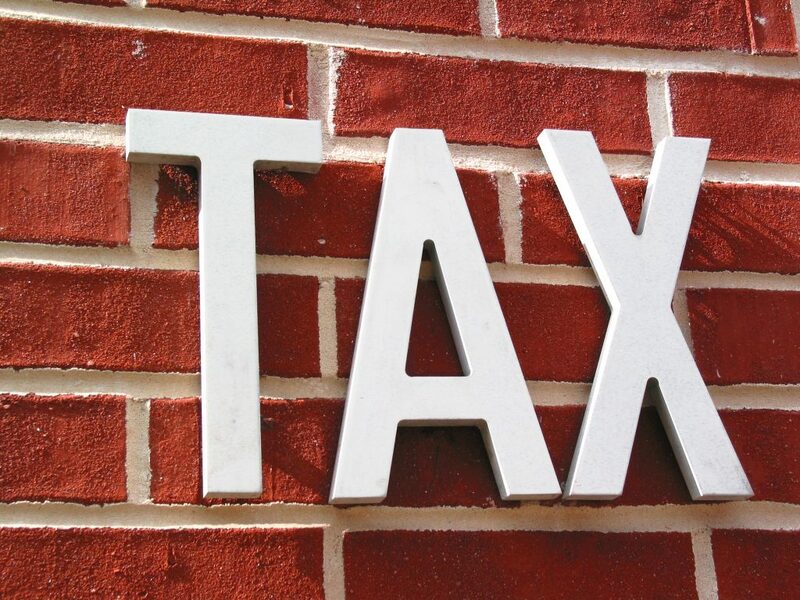 A good tax lawyer will help you explore every avenue to relieve your legal issues.